Your privacy is important to us. To better protect your privacy the Oberman & Rice Law Firm provides this notice explaining our online information practices and Terms and Conditions of Web site Access and Use. Your use of this web site is subject to the terms, conditions and understandings detailed below. By accessing this web site, you hereby acknowledge that you have read and accept all of our terms, conditions and understandings. The information contained in this web site is provided solely for informational purposes and should not be construed as legal advice on any subject matter. Any information contained herein is not intended to be a substitute for legal counsel on any subject. Internet subscribers and online readers should not act upon this information without seeking professional counsel. You should not rely upon any information contained herein for any purpose without seeking legal advice from a duly licensed attorney competent to practice law in your jurisdiction. Transmission and receipt of the information contained on this web site is not intended to create, and receipt does not constitute or create, an attorney-client relationship between you, the Oberman & Rice Law Firm, or anyone at the firm. Sending e-mail transmissions or other communications to the Oberman & Rice Law Firm will not create an attorney-client relationship or impose any obligation on the Oberman & Rice Law Firm. If you are not a client of the Oberman & Rice Law Firm, your communications with the firm will not be privileged and could be disclosed to other persons. As a result, do not send the firm any confidential and privileged information unless and until you have first spoken with the Oberman & Rice Law Firm and have entered into a written agreement for the provision of legal services between an attorney with the Oberman & Rice Law Firm and you for the purpose of establishing an attorney-client relationship. The information provided on this web site is provided on an “as-is” basis without warranties of any kind either express or implied including without limitation warranties of merchantability, fitness for a particular purpose, or non-infringement. The Oberman & Rice Law Firm makes no warranties or representations of any kind concerning any information contained in this web site. This web site is provided only as general information. The Oberman & Rice Law Firm expressly disclaims all liability with respect to actions taken or not taken based upon the information contained herein or with respect to any errors or omissions in such information. Some links within this web site may lead to other sites. This web site does not incorporate any materials appearing in such link sites by reference and the Oberman & Rice Law Firm does not necessarily sponsor, endorse or otherwise approve of such linked materials. The Oberman & Rice Law Firm expressly disclaims any responsibility or liability for the content of any such third-party resources/links. Further, the Oberman & Rice Law Firm does not necessarily recommend, endorse or approve of the content of any such link sites. 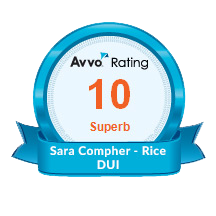 In addition the Oberman & Rice Law Firm does not guarantee the timeliness, sequence, accuracy, completeness or content of such information. 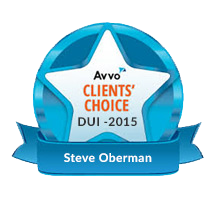 Steven Oberman maintains copyright ownership of all information contained within this site. You are authorized to download and print the content of this web site for your personal, non-commercial use provided all printouts include our copyright referenced above and with the requirement that you not modify the content of the site information. All other use including, but not limited to, copying, distribution, retransmission or modification of the information or materials contained herein without the express written consent of Steven Oberman is strictly prohibited.